All Trucolor products are Kosher certified. TruColor™ Natural Colours are free of FD&C dyes, free of artificial preservatives and free of “Big 8” allergens including milk, eggs, fish, crustacean shell fish, tree nuts*, peanuts, wheat and soya. TruColor™ is Gluten Free and free of Genetically Modified Organisms (GMO FREE). Caramel does contain US Corn and Brown is made from Organic Cane Syrup and is GMO & Corn free. *Annatto colour is not on the FDA list of nuts however it is important to know that a small fraction of some people with peanut or nut sensitivities report having cross reactions to the annatto seed. This is in powder form to which you add 2 parts of water and then spray or paint. When completely dissolving the airbrush colour powder you want to make a very light syrup consistency to cover nicely when sprayed, just thicker than water, but not too thick that you can’t pour it or it clogs into your airbrush gun. The Light reflective “Shine” colours made with natural minerals may spray better with an airbrush gun that has a bottle underneath the airbrush gun as mica particles like to settle to the bottom of the cup, lay flat and block the orifice. When using thicker TruColor™ products including any colour with Turmeric do not use a fine spray tip on your airbrush gun as these natural colours are “thicker” than other colours. TruColor “Shine” is not a “luster dust” and requires water to “Hydrate and Decorate” You can add alcohol to the mixture after first adding a small amount of water if you want the colour to dry faster or you are in a very humid environment. TruColor™ Natural Food Colour Paint and TruColour™ Natural Food Colour Paint “Shine” colours may be sprayed with an airbrush gun or painted on with a paint brush. 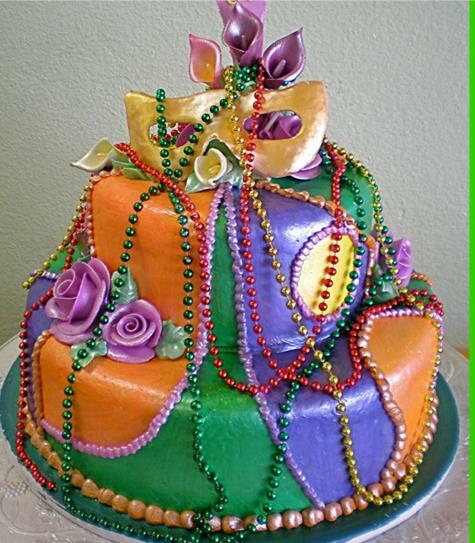 Natural Food Colour Paint works very well on almost any food surface including icing, gumpaste and fondant that has been given just a little time to set and dry or form a dry crust. If you want a darker colour add less water or a lighter colour add more water to the colour powder, count drips or weigh product and water to duplicate colour strength or replicate shade. All TruColor™ Food Colour Paint and Airbrush Colour have been pH adjusted so there is no need to manipulate them with an acid (Lemon Juice) or base (Baking Soda) however you can experiment to create unique colours. 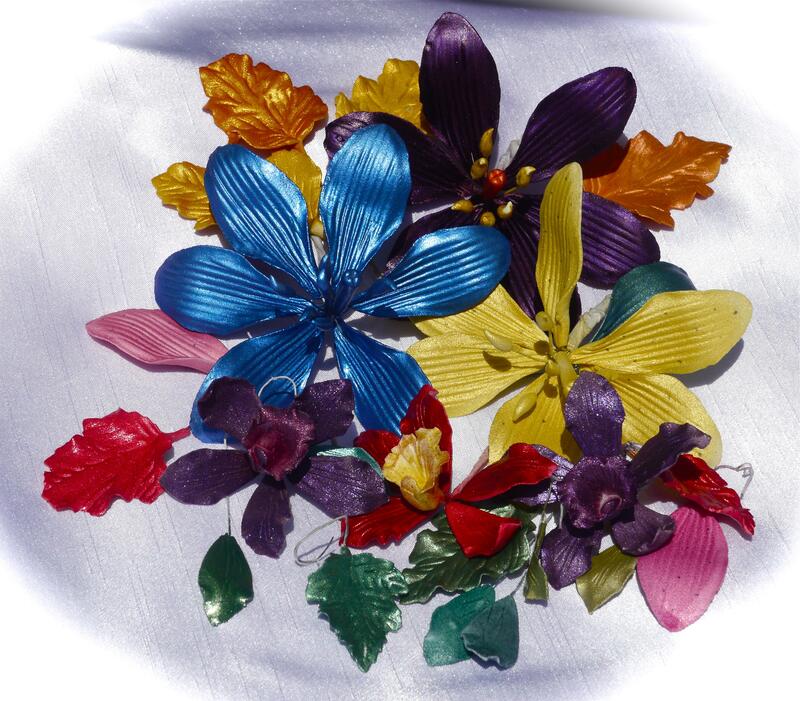 Airbrush or paint onto solidified chocolate or on most dry food products for a brilliant metallic colour. This is in liquid form so is ready to use straight from the bottle - the flip-top lid also includes a slot to insert your brush. Shake well and stir often to ensure an even mix. As this is a liquid this is only available for sale in New Zealand. Perfect when mixing alcohol or extracts for colours. Pull the top back to draw the liquid into the measured syringe - medical grade. 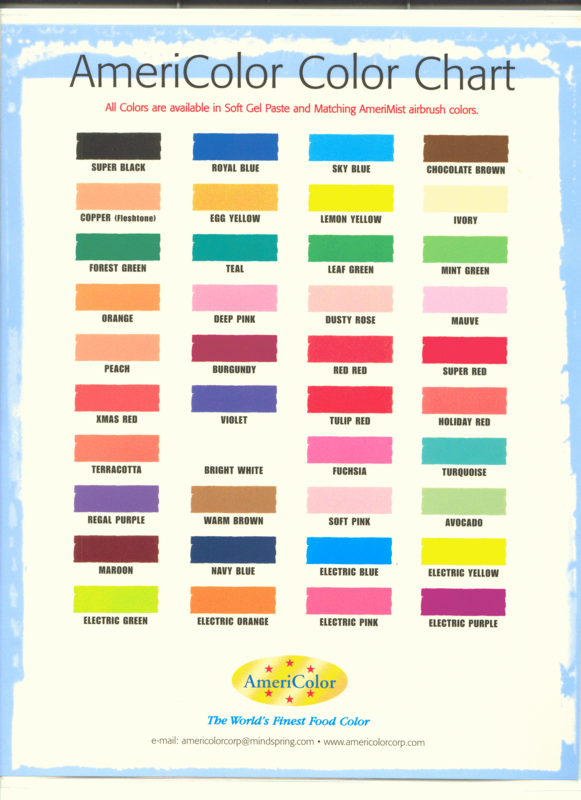 Amerimist Airbrush colours are super strength, highly concentrated spray on air brush food colours that are extremely effective, even on the hard to colour non-dairy whipped toppings and icings. Amerimist Airbrush colours eliminate the need to over spray so moisture will not accumulate, water spots will not appear, and the icing will not break down. Amerimist Airbrush colours are available to match all the colours in the Soft Gel Paste range. Amerimist Airbrush colours are available in an easy to use 0.75oz and 4.5 oz flip top dispenser bottle. Amerimist is no longer available to us - once sold they cannot be replaced. To create a metallic finish, spray with Gold or Silver Sheen. These are light reflective metallic colours and can also be painted. 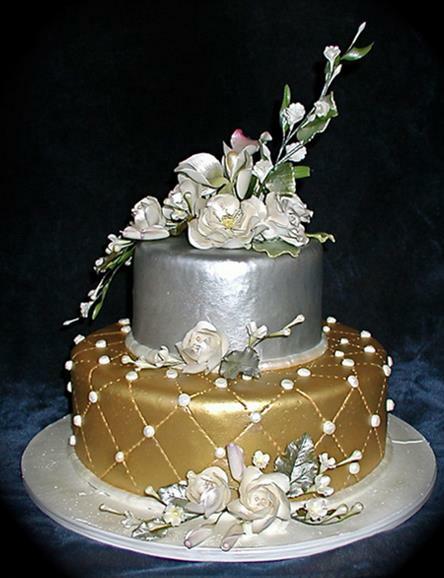 This cake is iced with buttercream icing and sprayed with Gold and Silver Sheen. The flowers are sprayed with Pearl Sheen. To create a pearlescent finish, spray with Pearl Sheen - this can also be painted. Pearl Sheen Amerimist, NZ$ 49.90/ 4.5oz with free freight.